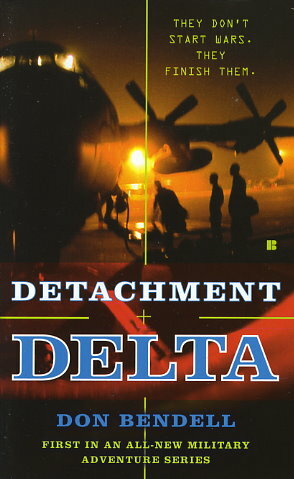 They are First Special Forces Operational Detachment Delta...also known throughout the world as Delta Force. Handpicked from the elite warrior cadres of the American military -- Green Berets, SEALs, Army Rangers -- they are trained in SWAT operations, hostage rescue, covert tactics, raids, assassinations, all forms of enemy disposal. They possess a license to kill with full immunity for their actions. Charlie Strongheart is a Lakota warrior to the bone -- and a member of Detachment Delta. His assignment is to enter Iran and eliminate an up-and-coming terrorist before he poses a threat. But when Strongheart is betrayed by those he thought he could trust, he finds himself alone in the heart of the beast.